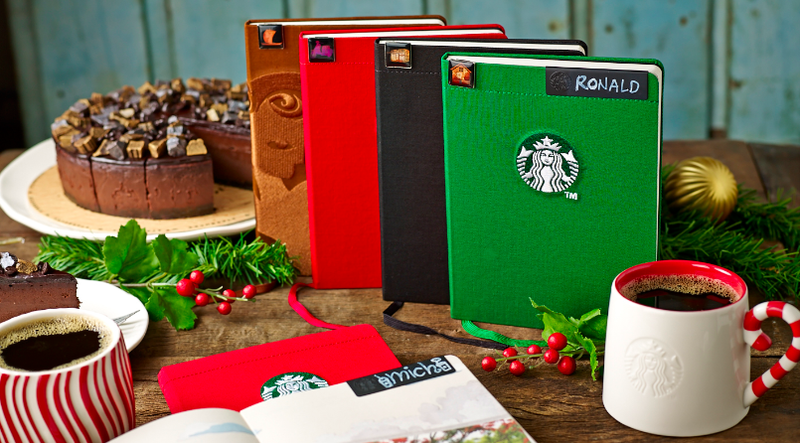 the canDIshhh tales: Starbucks Christmas 2014: Let there be Bright Starbucks 2015 Planners!! Starbucks Christmas 2014: Let there be Bright Starbucks 2015 Planners!! Everyone is excited, everyone is extra smiley, everyone is giddy and you can sense the happiness in the air. 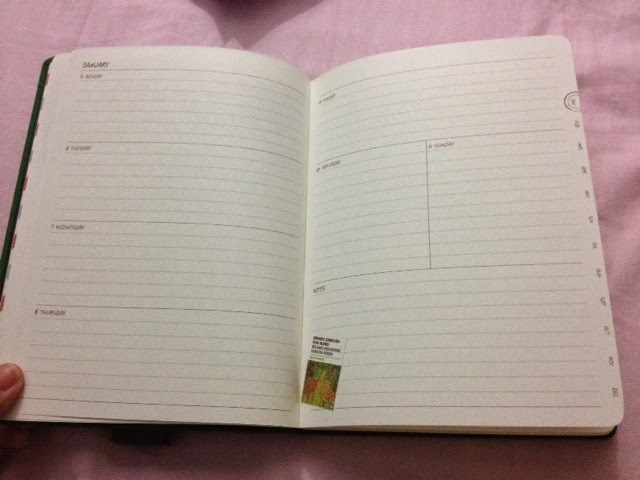 planner) and a pin on the top right side of their apron. The Black Starbucks 2015 Planner represenyts the Starbucks Reserve while the Red Starbucks 2015 Planner represents the Christmas partner attire. Then we have the limited edition Brown Starbucks 2015 Planner representing the Siren. And guess what, these are water resistant covers!! So, how will you avail of them? 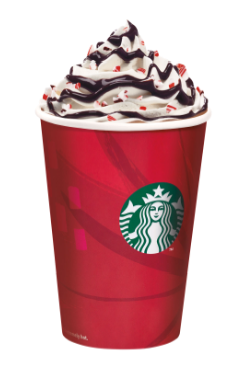 Starting November 3, 2014 (Monday) these babies & the Christmas 2014 drinks will be available in ALL Starbucks store nationwide!! *Be one of the first 200 patrons of each Starbucks branch (on November 3 only!!) and get a card with One FREE sticker! **Use your Starbucks Card to purchase the needed 19 drinks will earn you one (1) sticker and one (1) beverage star!! Option 2: A single receipt purchase of P7,000.00 worth of Starbucks Food and Retail items (merchandise, whole beans and Starbucks VIA) Note that the following transactions are NOT included - Bulk purchase of Starbucks Card and GCs and reloading Starbucks card. 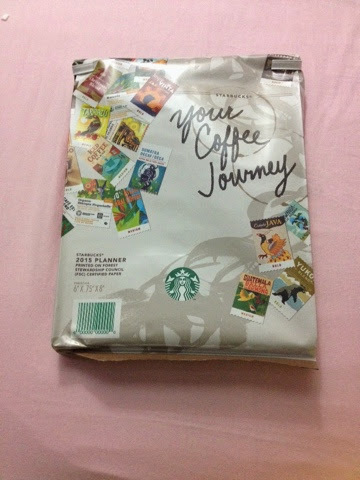 And here is the Green Starbucks 2015 Planner!! 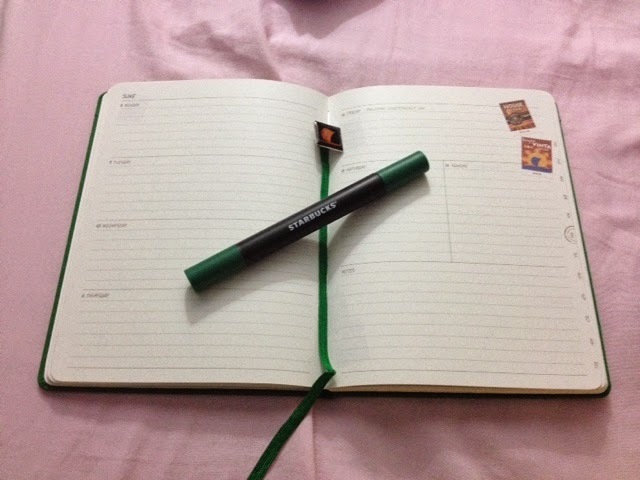 I really love the simplicity of the this Starbucks 2015 Planner. It's functional and very useful! YES! 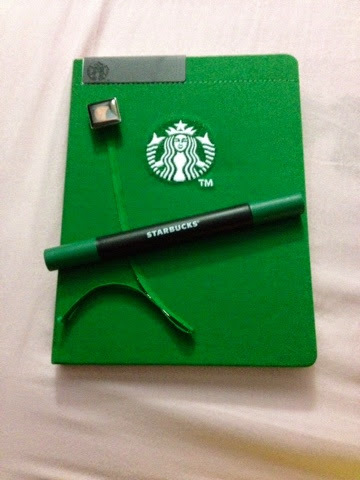 I am giving away this Green Starbucks 2015 Planner to one lucky reader. Please visit the blog for the mechanics. 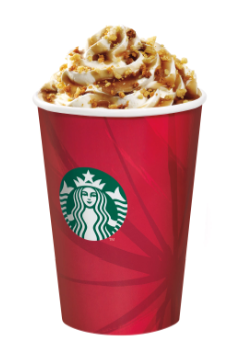 Personally, my favorite is the Toffee Nut Latte, but having a sip of the Christmas Cookie Latte and I was having second thoughts! 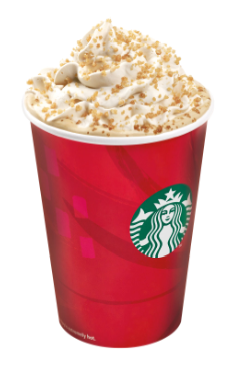 I think I have a new favorite this year - and it's the Christmas Cookie Latte. Please try Starbucks' new concoction and I'm sure you'll agree!! This is really wonderful dear. I will be throwing a party at best venues in Chicago this Christmas and for that I was looking for best ideas to do event planning. I think implementing your ideas will suit me best.